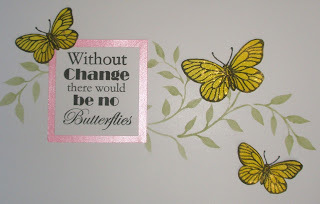 As some of you may have seen, I'm thrilled to say I had a card published in the August issue of Craft Stamper magazine. 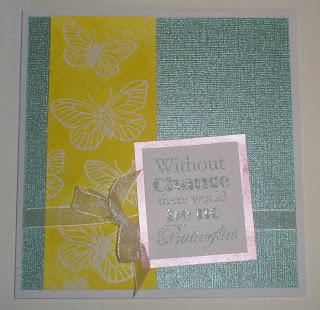 The re-mit was simple cards that take about 15-20minutes to create, using butterflies and yellow, sage and pink. Here's a close-up shot of the card published - if you want to know how I made it, then you'll have to look in the magazine!! I also did a second card which you can see below. 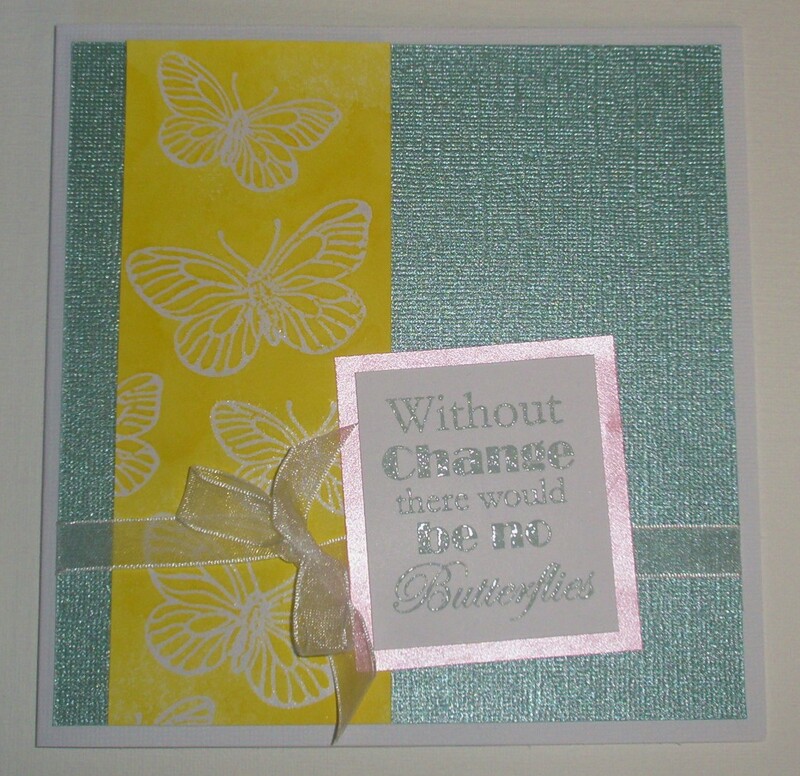 It uses Oak House Studio's Charming Butterfly stamps and the Without Change sentiment and the inky panel was created using Citrus Yellow Ink in a Bottle sprayed over clear embossing. 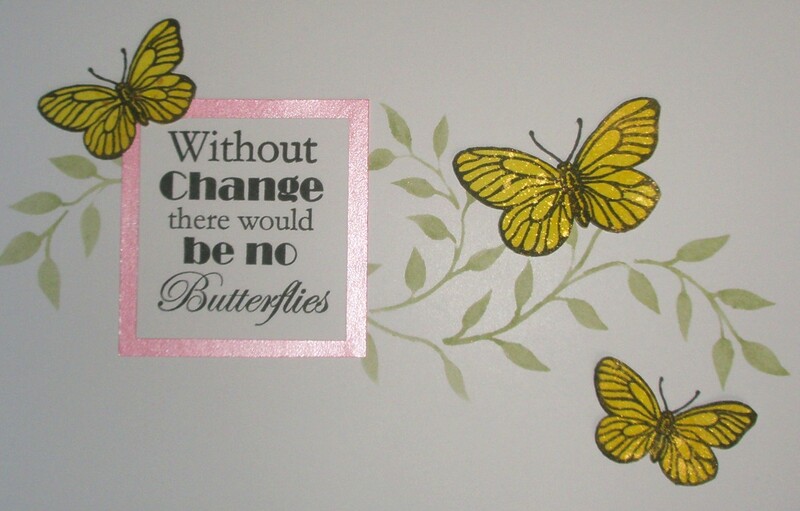 Congratulations, fabulous card, love the butterflies and the great quote.